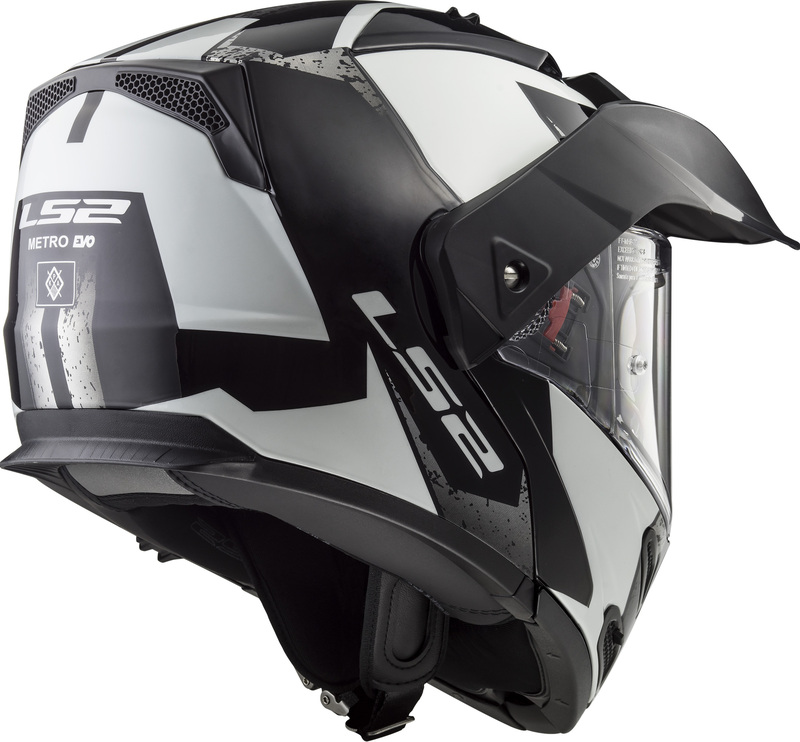 LS2’s modular Metro Evo switches from an open to full face – and can transform into an adventure-style helmet too – adapting to riding conditions for versatility on the move. Dual homologated as both a full-face and open-face helmet, the Metro Evo is equally at home in busy city traffic as it is out on the open road, and should the urge for exploration really take hold, an adventure sport style peak can be easily attached. It’s also ready to accept LINKIN Ride Pal Bluetooth comms, for wireless connectivity on the move. The outer shell is made from LS2’s exclusive Kinetic Polymer Alloy (KPA), a super strong and lightweight material that flexes for energy absorption and offers penetration resistance, rivalling high-end composites. Inside is a removable and washable hypoallergenic lining for freshness. 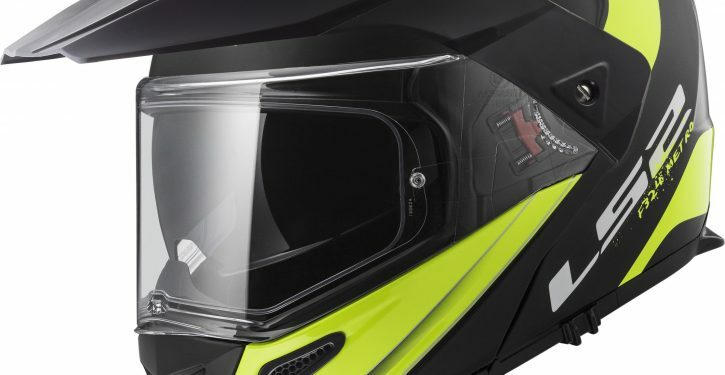 Dynamic Flow-through Ventilation – with adjustable intake ports, internal channels and exhaust ports – helps create a light flow of air, keeping the rider cool and comfortable too. 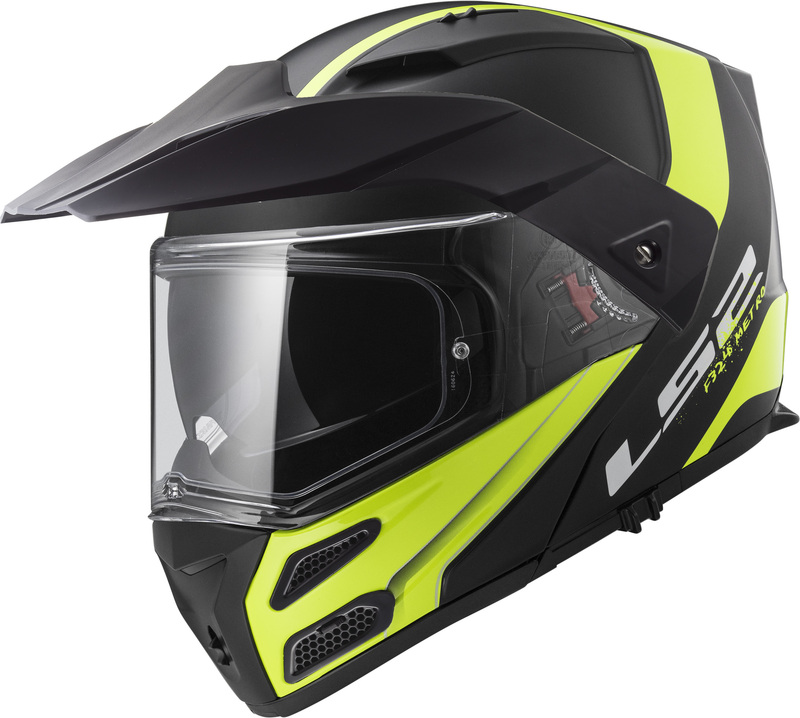 The quick-release visor is manufactured from 3D Optically Correct A-Class Polycarbonate: it’s also scratch and UV-resistant, and Pinlock-ready and The Metro Evo features a simple to operate drop-down Sun Visor as well. The Metro Evo comes in sizes XXS – 3XL, in a choice of plain and graphic finishes. Retail prices start at £179.99 for plain colours. Graphics are £189.99. We’ve had this helmet for a while now but, until relatively late in the season, not much decent weather to give it a good test. As it’s primarily going to be used on the road we had to lose the removable peak, whilst doing so and removing the visor, we might as well fit the pinlock insert, easier said than done! It was a fiddly process but we got there eventually. The first road test following the pinlock inserted the vision seemed a little blurry, when we got home we thought it prudent to remove the removable film, following which the vision was significantly improved! 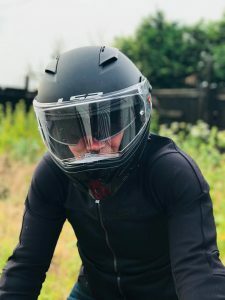 There was a noticeable draft from the chin area so we subsequently fitted the removable chin guard, which is not factory fitted and stayed firmly in place after removing the helmet multiple times and does a decent job of keeping the cool air away from the chin area. The helmet provides reasonable noise suppression and good air vents. The visor can steam up quite easily internally but that’s easily avoided by fitting the pinlock insert. Graphics are sharp and look the part, available in a number of different colour options. We thought the LS2 helmet range were a budget range but they are priced in line with the Carberg lids, a tall order to compete with. There is a vast array of very cheap and very expensive helmets available these days, it can be quite daunting which make amd model to choose from, we recommend you stick with one of the established brands with good safety features and independently tested by an organisation such as SHARP. A good all-round helmet, affordably priced and some good basis features as standard (pinlock, sun visor). Recommended by us and it won’t break the bank, we’ll be using ours for the rest of this season for sure.